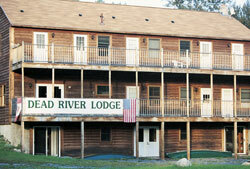 Magic Falls offers a variety of lodging and camping for your Maine white water rafting adventure. Along with lodging, our base facility has showers and changing facilities, a recreation pavilion with pool table and TV, volleyball, 1/2 court basketball, horseshoes and Free WiFi-a rare offering in rural Maine. Book with our on-line reservation form or complete our easy to use trip planning form to receive a detailed quote on your Maine rafting vacation sent to you via email. Well off Rt. 201 near our base camp, Dead River Lodge offers a quiet retreat. 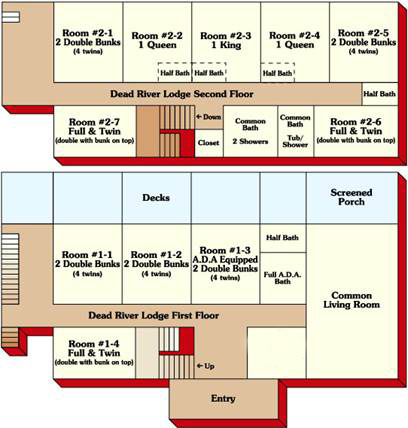 The 12 room lodge features King and Queen rooms with half baths, decks overlooking the river, an ADA room and a large living room with a big screen TV. Ideal accommodations for the entire family. King room $85 per night. Queen room $65 per night. Bunk room rate is $30 per person. Children under 12 years old lodge for half price when staying in a bunk room with parents. Five bunk rooms sleep 4 and three bunk rooms sleep 3. Comfortable and spacious, the inn is dedicated to groups who want to prepare their own meals or BBQ. Will accommodate up to 16. 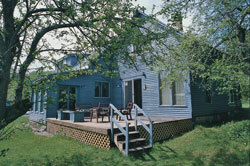 The inn has four bedrooms, two baths, kitchen, TV room, dining room, and a deck with gas grill. The rate is $40 per person. 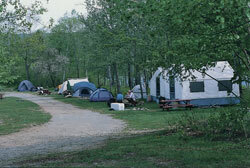 Located on the beautiful Dead River, both campsites and cabin tents are available. Cabin Tents are a wooden framed structure with canvas or wood sidewalls, set on a wooden platform, with a screen door, basic electricity, and wooden sleeping bunks with mats. You can either bring your own sleeping bags and pillows or have us supply pillow, sheets, and one blanket for an additional fee. 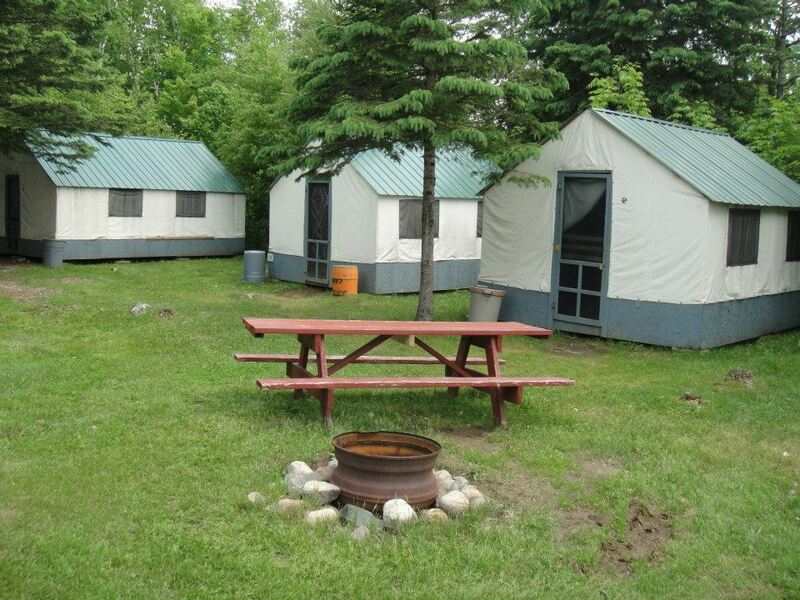 The per person/pernight cabin tent rate is $20 per person. For your convenience each campsite has a fire pit and picnic table. Tent sites are priced at $15 per person/per night. Call or E-mail to find out more about rafting specials, internet specials and family vacation packages.